We all want to rank well, but there are times when it seems nearly impossible to do so. There can be many causes for rankings shortfalls, and as I pointed out recently, sometimes it seems Google is just not interested in ranking businesses like yours for a target query. 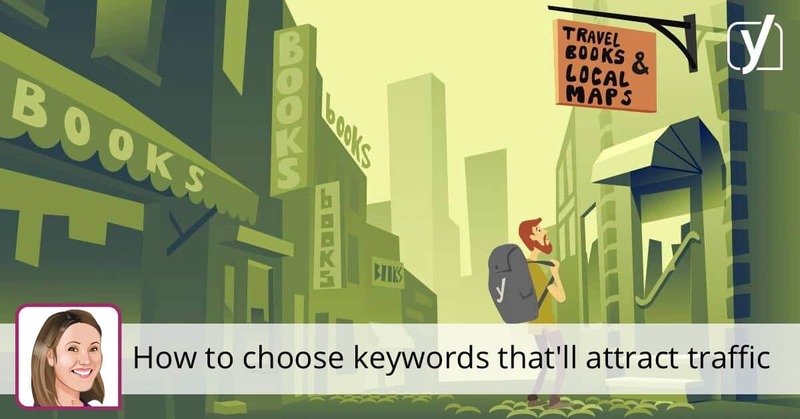 That can be frustrating for anyone which is why my previous article suggested a way to determine if your target keyword phrase was a good fit for the terms you want to rank for. Sometimes it’s better to pursue keyword phrases for which you know have a better chance of ranking than those you want to rank for. In today’s post, I’m going to talk about factors Google may use to determine if a site is reasonably relevant for the keywords it targets. Just because you create webpages targeting a certain keyword phrase or in a specific topic area does not mean you will rank for those terms. In short, we don’t know if Google is “buying” it. You want to rank for a specific search phrase but currently, do not. Google is ranking your competitors’ content in the top ten search engine result pages (SERPs) but not yours. You want to know if Google thinks your webpage is a potential (relevant) fit. Now that we have an outline, let’s dig in. One of the best ways to see the ranking potential for a webpage is to see what it already ranks for. This sounds simple and obvious, but I’m going to take it a bit deeper than simply looking at the top keywords to your site. It’s worth digging a bit deeper to see what insights we can get, not only by looking at what we rank for, but what the competition ranks for, and the makeup of the words in those phrases. The first step is to pull the phrases you currently rank for. Once you have the basic ranking data, the next step is to manipulate the data to find additional keyword sets. To do this, we’re going to focus on the phrases our site ranks for (in the top ten) and then count of all the individual words included with those keyword phrases. At this point, we have a lot of information which tells us what Google thinks about your site, or not. Do you show up for a number of related phrases? If yes, then your target keyword is probably fairly possible for you to rank for, even if you don’t currently show up in the top 50 for that target. If you’re ranking for related words, Google at least sees you as being relevant. But there’s a problem with the data showing above. Notice how the site on the left is ranking only for keywords that include the company’s brand name. This is not good since we are trying to rank for the phrase “manufacturer’s blue widgets” and that term is nowhere to be found. This tells us Google doesn’t equate this website with our target phrase. Ouch! If you don’t see your target keywords showing in the search results that may be a sign ranking is going to be tough. You either have major content problems related to the target keyword or a general authority problem related to the topic area. The data shows we’re in much better shape, and our prospects are reasonably good. If you find you rank for a number of related terms, your next steps are pretty straightforward. You should look to improve the content related to the target page on your site by improving the depth of supporting content on other pages of your site. You may also need to do some public relations (PR) or related link building that supports your stance as a relevant resource. The scope of this effort is along the lines of tuning and tweaking, not a complete overhaul. If you didn’t rank for much in the way of related terms, the steps you need to take are basically the same as tuning and tweaking but with more intensity. You need an overhaul because Google just doesn’t look at your pages as being relevant to the topic/phrase. This means the program is going to cost significantly more to execute, and it will take longer to show results. If you don’t have the budget or patience for that, you may need to consider a different keyword target. Let’s put this in perspective and see what each scenario may cost you. In the first scenario where you didn’t rank for any relevant terms, the work involved to rank may cost $250K, and you might have to campaign for ten to twelve months to see the results you’re looking for. In the second scenario, you rank for relevant terms so your costs to continue ranking or rank ahead might be $50K and might take three to four months to achieve results. The analysis is actually fairly simple, but the benefits are high. When Google relates keywords to your webpages, your search engine optimization (SEO) costs should be lower. Focusing on what you already rank for allows you to budget more accurately for your campaigns, and to focus on tactics to help you achieve your goals. Do you have a shot at ranking for that phrase?